Consumer Reports tested 45 popular fruit juices sold across North America, including apple, grape, pear, and fruit blends. The tests revealed concerning levels of heavy metals in nearly half of them, including juices marketed for children who are particularly vulnerable to the harmful effects of heavy metals. “Persistent exposure to these heavy elements, particularly early in a child’s development can have long standing effects throughout their life; respiratory systems, their neurological systems; their immune systems are all developing, so having those exposures early those ages can have very profound effects,” explained James Dickerson, Consumer Reports chief science officer. The American Academy of Pediatrics has long recommended limiting amounts of juice, mainly because it contains lots of sugar, but children still drink a lot of it. 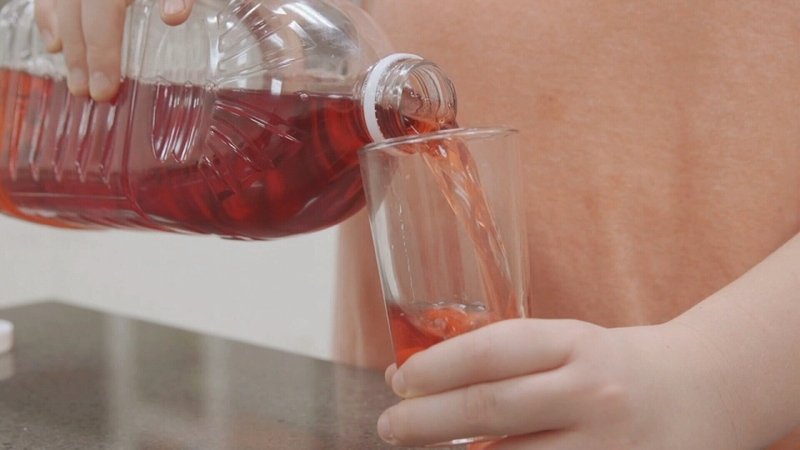 In a recent survey of parents with young children, Consumer Reports found that more than 80 per cent give their kids juice, potentially exposing them to heavy metals. Testers found seven juices that contain enough heavy metals to potentially harm children who drink a ½ cup or more per day. An additional nine juices pose risk to kids at a cup or more per day. Lastly, Consumer Reports found five juice boxes that posed a risk to children if they drank more than one per day. How did these dangerous compounds get into our juice? Heavy metals are naturally found in the environment, but much of the heavy metals in food come from soil or water that’s been contaminated through pollution, mining or pesticides. "There are a lot of foods out there that have traces of these heavy elements in there. That’s why it’s really important to make sure that you feed your children a broad variety of fruits, vegetables and other whole-foods to ensure that you minimize your exposure,” said Dickerson. That includes drinking a lot of water. Of the juice companies that responded to Consumer Reports’ request for comment, most said they did their own testing and adhered to all regulations. Some also noted that heavy metals can be naturally occurring. A full list of the results of the juice testing can be found here.